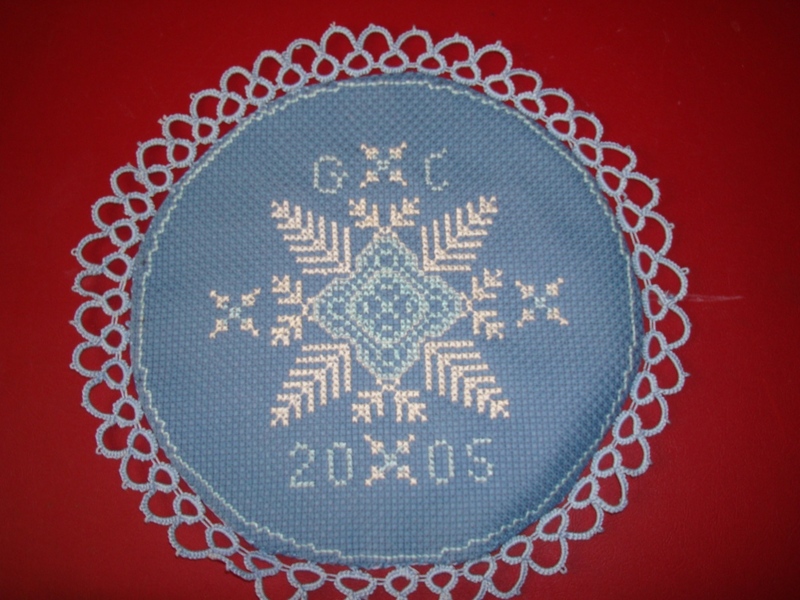 Oval doily in cross stitch. I have developed a reaction to the summer sun, a viral infection with unknown cause, is manifested as an allergy – lots of irritation on my eyes, ears and neck.Very inconveneint too. I was thinking of ideas to use embroidery, crochet and tatting on doilies. Then an idea of making a oval doily interested me. 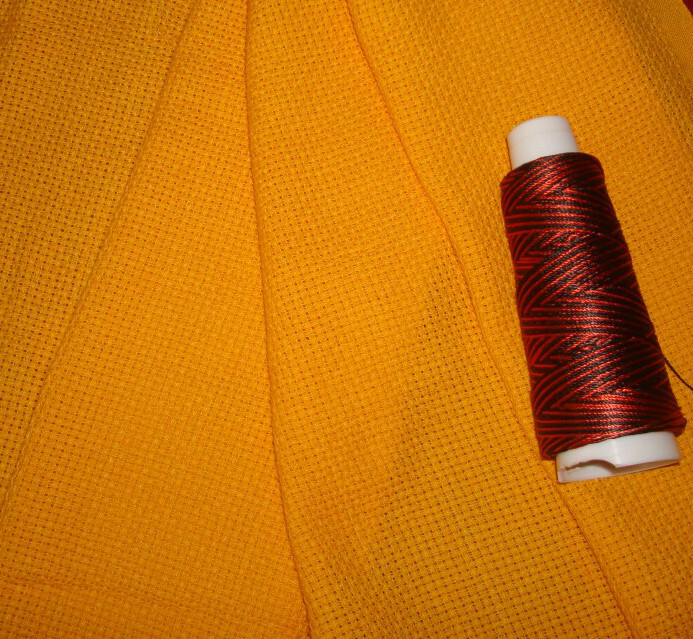 To embroider in cross stitch, create a new design, to use red colour. The aida cloth was perfect for it. 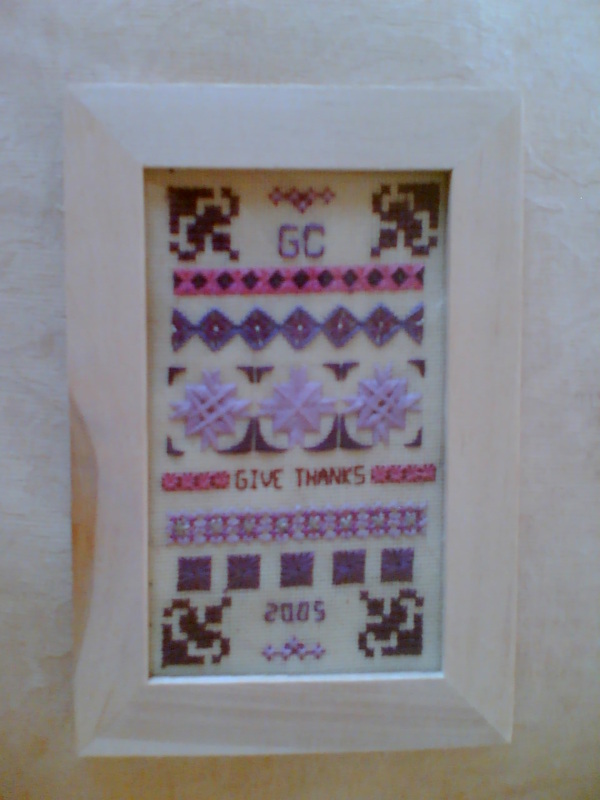 The design , I mix and matched some of my own cross stitch patterns,Used the font from a cross stitch book. I had heard that some stitch diploma students tried presenting other people’s work , to get their certificate, to avert their interest, I embroidered the year also. Later I decided not leave my projects with strangers. 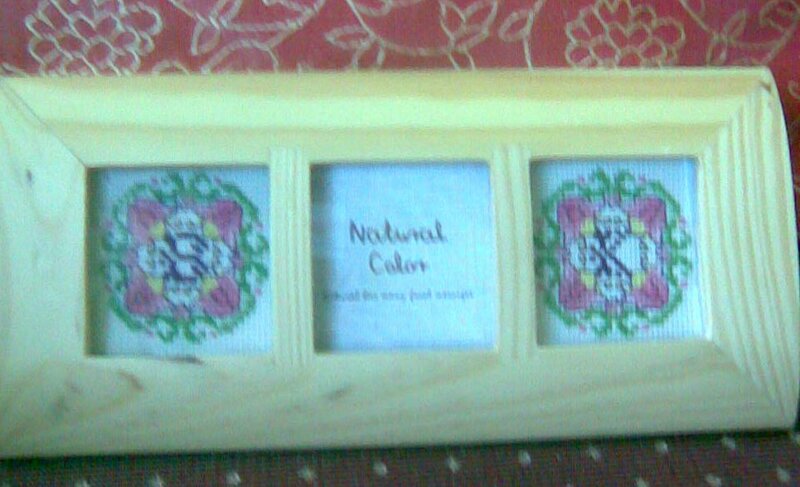 I am still thinking of attaching a border- made with lace or crocheted or tatted. after 6 years, That is yet to happen! When I initially started browsing the net for embroidery, I stumbled upon so many things. It was like a fantasy world filled with my favourite things. Along with the fascination , came the ideas for doing these wonderful things. After some time I came back to the real world! LOL! 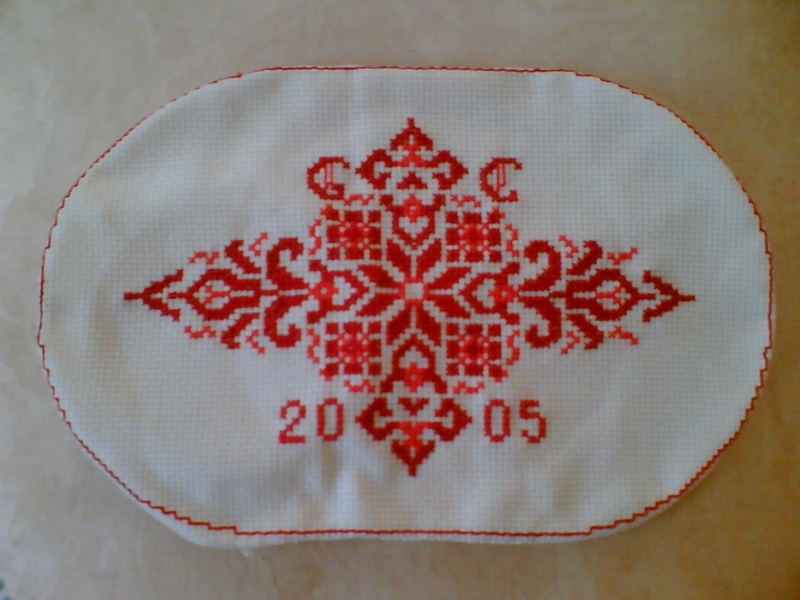 This sampler was during the second phase. 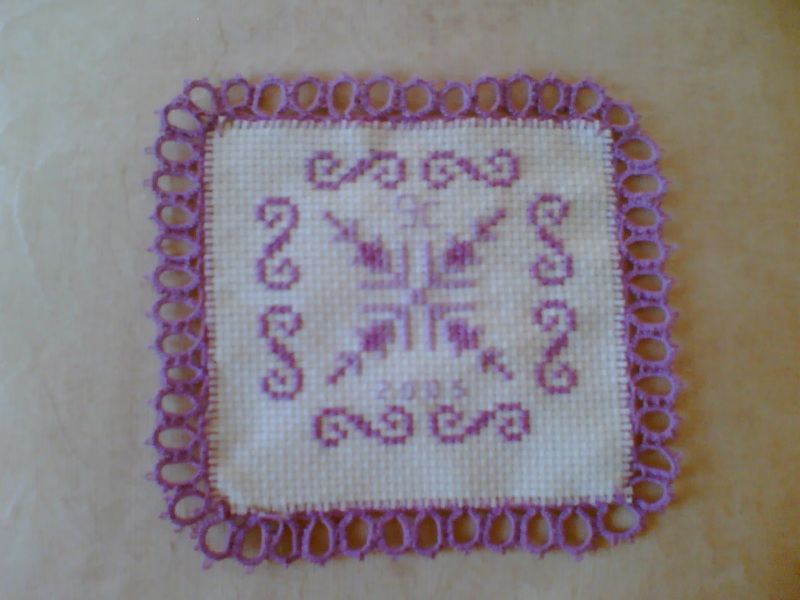 I tried some speciality stitches in counted thread, then made them into a sampler. When I filled with gratitude , stitched ”give thanks” on it. The frame is from IKEA.The sampler was designed to fit snugly inside the frame. I don’t even remember the name of the stitches! The monograms seen here, I did for my brother-in-law and his wife, when we visited them. Pattern- I don’t remember where I took the pattern from, but I incorporated their initials on the basic pattern. Frame- I got this from a local shop, with three apertures, two for their initials and one for their photo. Actually, the idea came after buying the frame. I have been thinking of doing one for us, but that hasn’t started yet. Sometimes my husband allows me to try embroidery on his shirts. 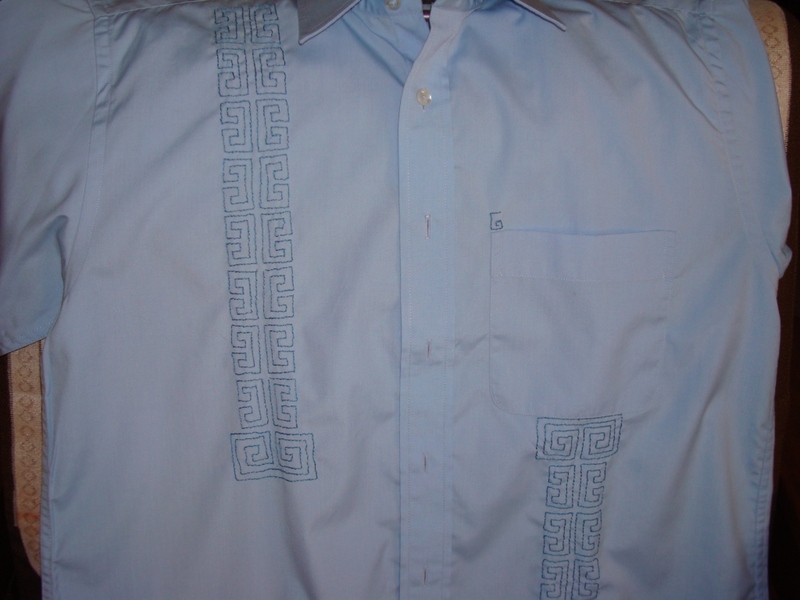 This is one such occasion.This is a store bought shirt in blue. I chose a simple border repeat pattern for this. 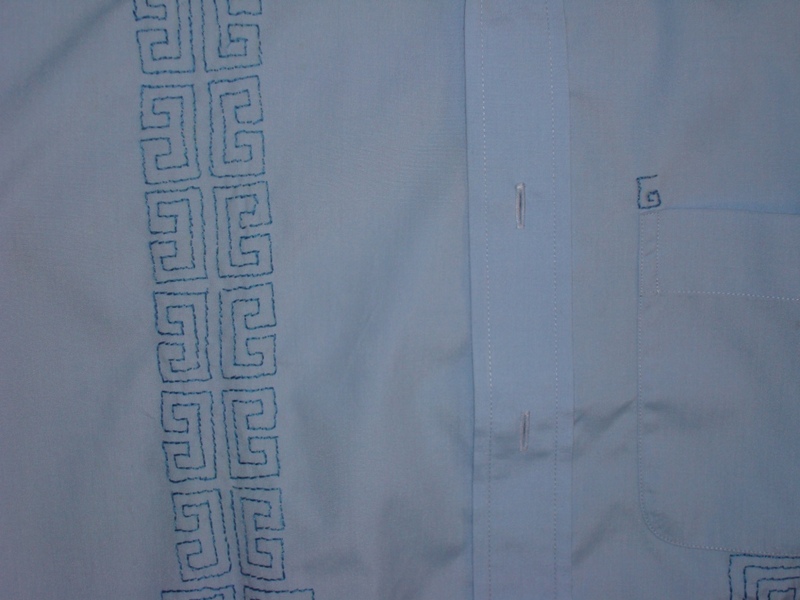 The whole stitching is done in mono colour in back stitch.And further to personalize this shirt,I embroidered a”G”[rather lopsided] over the pocket. Maybe I am a little fond of Roman[ or is it greek?] patterns. This is closeup of the embroidery. 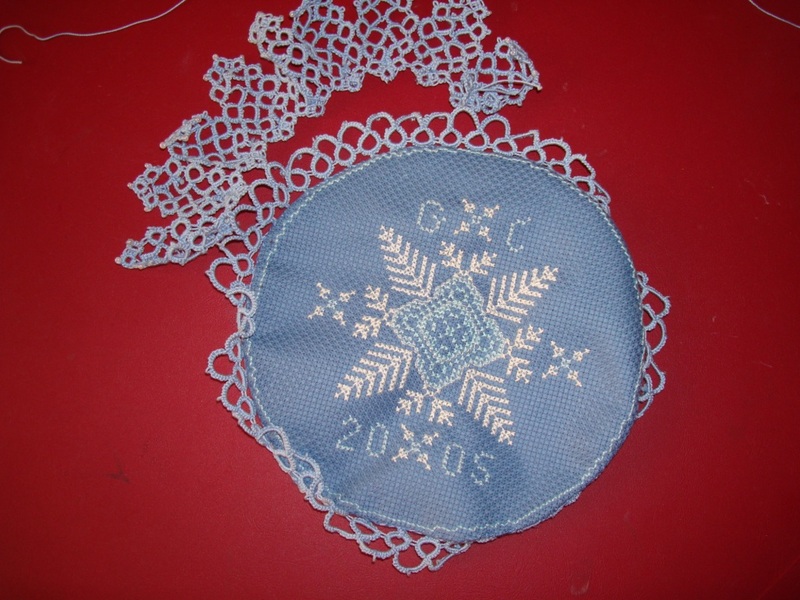 This doily I did in way back 2005.I was doing a needle work course with a lady in Chennai.As a part of the course, I had to do some[means lot] projects in embroidery, crochet, tatting and counted thread. I did a few. Then I came to know that, I have to leave these projects with the course evalutors for considerable length of time, but there were no real rules to safeguard the projects that were sent there. I backed out of the whole thing .I continued with the projects for my satisfaction.But this doily was done before the awareness , So it has the intials and year on it.